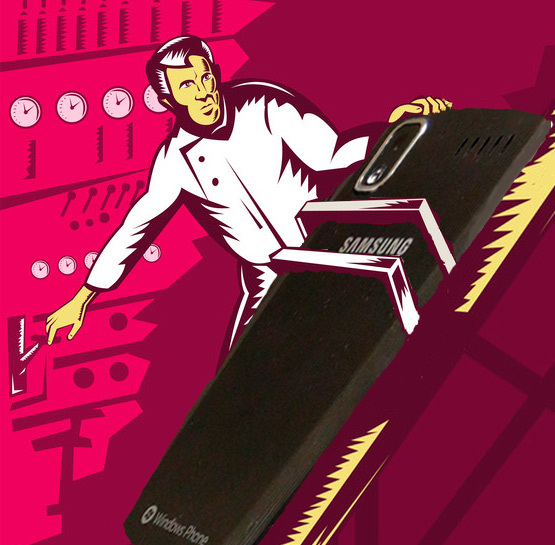 JLA Music - Channel Dr. Frankenstein and Rivive Your Samsung Focus Windows 7 Phone. I purchased a Samsung Focus Windows 7 phone several years ago. It functioned great until a few weeks ago when all of a sudden it turned itself off and would not turn back on. To fix it, I tried everything I could think of: pressing and holding the power switch; removing and reinserting the battery; pushing all of the buttons in various combinations; removing the battery and plugging the charger into an AC outlet and a USB port. I even tried some other things like incanting voodoo blessings. (I didn't really try that last thing.) Nothing worked. The phone was dead to the world. It had lost all of its intelligence and had become a dumb dead phone. I wondered if there was a Dr. Frankenstein who could resurrect my precious communication device. Then, as suddenly as my phone had turned off, it came back on about an hour later. Had Dr. Frankenstein made a house call, and against all of the advice of the American Medical Association, provided his services not only secretly but pro bono as well? At the time, I thought that my phone had went dead and then come back to life because my internet hosting provider had screwed up my email so that the phone could not log in. I theorized that the phone had been repeatedly trying and failing at logging in, which somehow prevented it from fully turning on. When it had tried and failed a sufficient number of times, it had simply given up and turned itself back on. So much for that theory. Sadly, for whatever reason, my phone started acting up again a few weeks later. It would frequently turn completely off, just after vibrating briefly and displaying "goodbye", like it was going away for a long trip overseas. When it first happened I just thought it was a fluke. I thought to myself, "I must have pressed and held the power switch by mistake." So I pressed the power switch, held it for a few seconds, then released it. Yep, sure enough, it came alive after a few seconds. I wiped the scared sweat off of my brow and went ahead with my business. But then this scary sleep/awake behavior happened again, and again . . . and again! Finally the phone turned itself off overnight. I spontaneously awoke from a night of sleep only minutes before an important meeting to find that my phone's alarm had not gone off. "Oh, boy", I thought, "my phone is in seriously bad shape. It must need a new battery". After just barely making it to my meeting on time, I went to the local battery store and purchased a new battery. I installed it and nervously tried the power switch. The phone didn't work! "Dang it! ", I thought to myself. "I just wasted almost forty bucks on a new battery." (I had also stupidly told the battery company to recycle the old battery because I couldn't imagine that it was any good after four years of service. So much for returning it for my money back.) In desperation I tried all of the tricks mentioned above (this time replacing the incantations with swearing) but the phone still didn't work. It wasn't a bad battery. Alas, perhaps the phone was permanently dead. But I didn't call the coroner just yet to get good ol' Sammie cremated and blown around by the winds of electronic Nirvana. I was determined to fix my phone. So I vigilantly searched online for a solution. After trying several ideas, nothing worked. That's when I took things into my own hands. When I was in grade school I regularly hung out with my neighbor, Lyle, who was an electronics genius. He and I loved to take things apart, find out how they worked, then put them back together. Sometimes just taking broken devices apart and putting them back together miraculously fixed them. A few years later he and I, and a couple of friends, took electronics classes at the high school vocational center. That knowledge has really come in handy over the years. But would it work on my phone now, decades later? I thought, "Why not?" The phone wasn't working anyway. It was old - probably four years or more. What could it hurt to try taking it apart and putting it back together? I had seen some results from a Google search that referred to YouTube videos that explained how to take a Samsung Focus phone apart, but I hadn't bothered to watch them. How hard could it be? I decided to forego the videos and just go for it. I'm glad I did because it fixed the problem. First I powered off the phone by pressing and holding the power button for several seconds, then releasing it. After the phone displayed "slide down to power off", I swiped the screen down to shut the phone completely off. 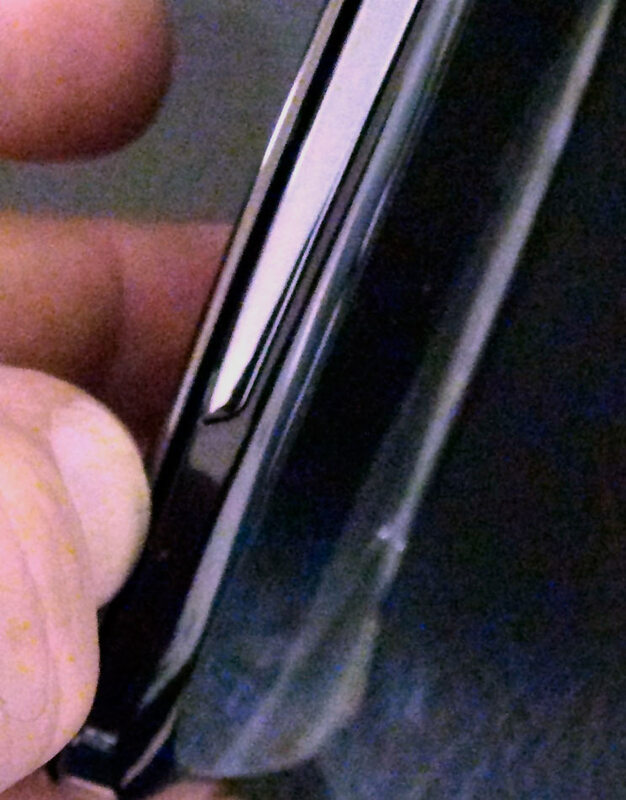 Then I snapped the back off of the phone by sliding a finger nail in the crease. That exposed the battery and other internal parts. 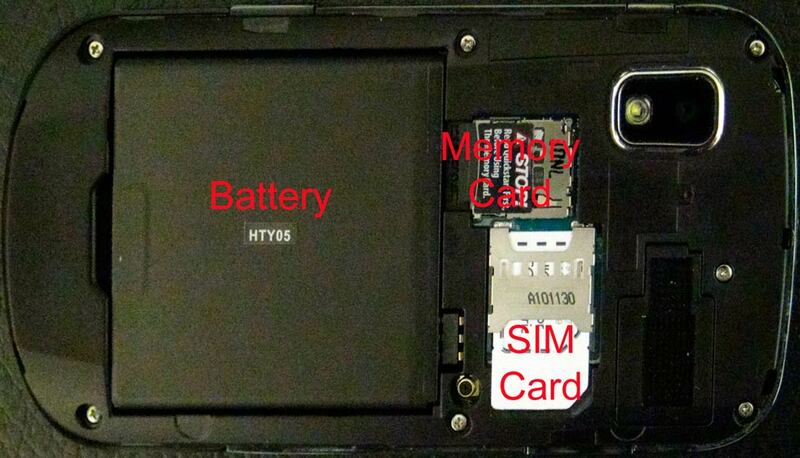 I removed the battery and the memory and sim cards. I saw seven small screws and removed them using a small "jeweler's screwdriver". I placed the screws carefully on the table in roughly the same position as they were on the phone; I wanted to be able to put them back in the same holes that I had removed them from. I carefully removed an internal snap-on cover and revealed even more internal parts. It was a little difficult to remove this last cover. I had to carefully pry things apart by placing the screwdriver tip in the seams. At this point the phone was in three pieces: the back, the front, and an inner cover. Although there was at least one more screw, I left it alone and decided not to further disassemble the phone. I inspected everything using a bright light and a magnifying glass, looking for anything suspicious. (No, there weren't any ghosts or goblins living in the phone raising heck with its operation - no dismembered torsos either. I was happy about that. The sight of blood makes me faint.) 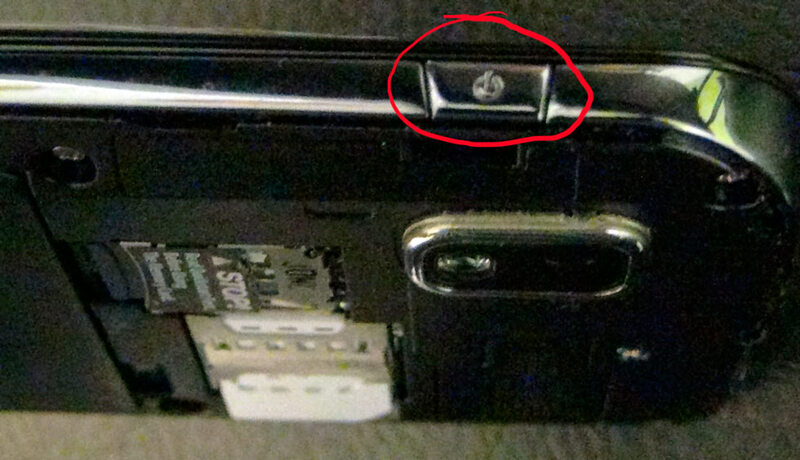 But I noticed that some gunk had gotten inside the phone, probably when I spilled some soda pop on it a while back. I carefully cleaned the gunk off, especially around the plastic-and-rubber switch buttons and where the plastic covers joined together. I made sure that the rubber-band-like parts that held the switch buttons onto the phone were properly connected. No doubt they made the buttons return to the default position after they were pushed. I figured that a stuck button would keep the phone turned completely off - kind of like Dr. Frankenstein's patient before getting zapped. The last step to reviving my phone was to clean the power switch with WD-40. (Not the plastic-and-rubber switch button, but the actual electronic switch.) I knew from repairing electronic devices that WD-40 was an effective cleaning fluid for potentiometers (volume and tone controls) and switches. I held the phone on its side so that the tiny little button on the electronic power switch was facing up. I grabbed a can of WD-40 and held it away from the phone. I sprayed some WD-40 onto the small screwdriver I had used to remove the screws. Then I placed the end of the screwdriver directly above the switch and let only one drop of WD-40 drip on to it. (I didn't want any of it to spill inside the phone where it might cause damage.) I was hoping that the WD-40 would seep inside the seams around the little button and get inside where the contacts were. I pushed the tiny switch on and off many times, hoping that the WD-40 would clean the contacts inside. Then I wiped up any excess WD-40 and any other remaining gunk I saw on the rest of the phone. I reassembled the phone and made sure to put the battery back in. NOTE: Here's where you might add one more step, depending on your belief - or lack thereof - of matters spiritual. You could recite a voodoo blessing, a prayer, an incantation, or even exclaim "oh shucks I hope this works!" I didn't do this - though I might have contemplated it or unconsciously let something slip. I don't really believe this is what fixed my phone, but many people will say it's worth a try, right? I'm just touching all the bases and keeping with the reanimation theme. It was do-or-die time, or shall I say dead or alive? I hard-booted the phone by pressing the power button for a few seconds and releasing it. I held my breath and waited impatiently for the phone to display the word "Samsung", followed by "Windows Phone 7". It worked! Then I briefly pushed and released the power button again. The phone turned off! I almost couldn't believe it! Every time I pushed the power button the phone turned on, then off, on, then off. I bet this is how Dr. Frankenstein felt when he revived his macabre collection of human parts! (Well, actually, that was probably a whole lot creepier!) I exclaimed in my imitation Dr. Frankenstein voice, "It's alive! It's alive!" Just to be sure - just now, after writing the text above - I tried the phone again. It still works! I'm not positive what exactly fixed it - the WD-40, cleaning the plastic phone buttons so they didn't stick, or removing the other gunk. Who knows - maybe there's some kind of fake magic (as opposed to real magic? ), like a placebo effect for gadgets - that makes gizmos work when you give them a little bit of extra attention! (No, I don't really believe in the placebo effect for immaterial things, but it's a cool idea.) Something obviously did the trick and I strongly suspect - having faith in science - that the WD-40 and other cleaning did the trick. The incantations were just for fun. If you have a dead Samsung Focus Windows 7 phone - or maybe any kind of smart phone - try what I did. (This will probably work on truly dumb phones too. To be honest, my Samsung Focus Windows 7 phone could use a little learning.) Become your very own Dr. Frankenstein. It just might bring your phone back to life.